Few sports are as intense as wrestling. The physical training demands total dedication. The mental side requires focus, anticipation and resilience. No letup. No excuses. Wrestling Tough, Second Edition, will inspire and guide you to achieve the mind-set of a champion. Whether you need to identify the flaws of an opponent, get optimally psyched for a big match, or overcome the adversity inherent in participating in the sport, Wrestling Tough will prepare you to excel and win. Mike Chapman, known for his unique expertise, analysis, and insight into the great sport of wrestling, has had the privilege of rubbing shoulders with many of America’s greatest amateurs and professional wrestlers. In the second edition of Wrestling Tough, he shares his insights to take you beyond the physical attributes needed to succeed on the mat: • Explore the attacking mind-set and the importance of psyching up for competition. • Gain perspective on the increasing popularity of the sport among women and girls and how female participants are proving their toughness on the mat at all levels. • Examine the rise and importance of funk-style wrestling, through which an individual’s personality is allowed—and encouraged—to shine. • Glimpse the key moments in the careers of many great wrestlers and the training methods they used to break through barriers and achieve ultimate success. Wrestling Tough is loaded with stories, insights, and coaching philosophies from legendary coaches and wrestlers such as Cael Sanderson, Dan Gable, Lee Kemp, John Smith, Tom Brands, and Steve Fraser, and even coaches from other sports such as basketball’s John Wooden and football’s Vince Lombardi. These stories will captivate wrestlers, coaches, and fans of wrestling alike. Make your mind a key weapon in your wrestling arsenal. Wrestling Tough provides you the ammunition to develop the mental firepower to win and dominate on the mat. 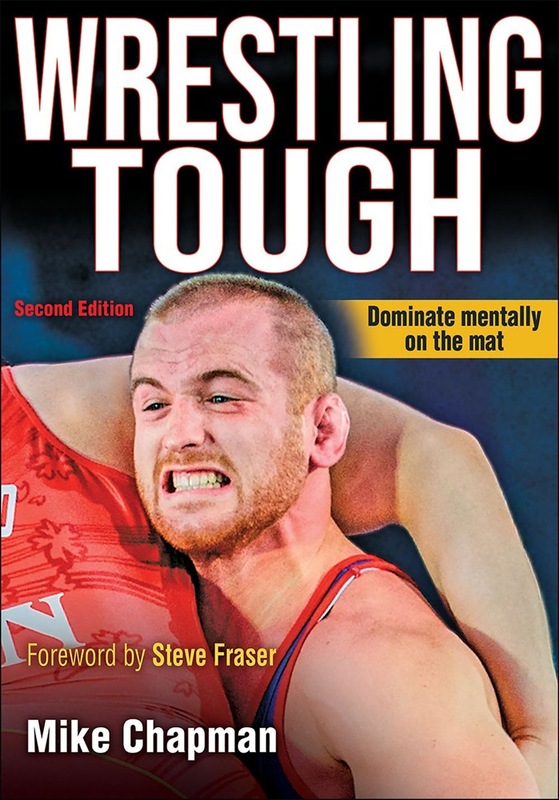 Acquista Wrestling Tough in Epub: dopo aver letto l’ebook Wrestling Tough di Mike J. Chapman ti invitiamo a lasciarci una Recensione qui sotto: sarà utile agli utenti che non abbiano ancora letto questo libro e che vogliano avere delle opinioni altrui. L’opinione su di un libro è molto soggettiva e per questo leggere eventuali recensioni negative non ci dovrà frenare dall’acquisto, anzi dovrà spingerci ad acquistare il libro in fretta per poter dire la nostra ed eventualmente smentire quanto commentato da altri, contribuendo ad arricchire più possibile i commenti e dare sempre più spunti di confronto al pubblico online.